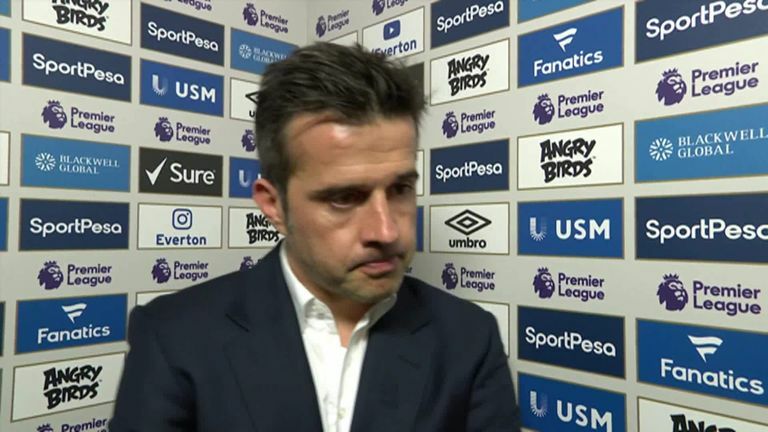 Marco Silva's substitutions made the difference for Everton as they struck late in a 2-0 win over Crystal Palace, who had a penalty saved by Jordan Pickford on Super Sunday. 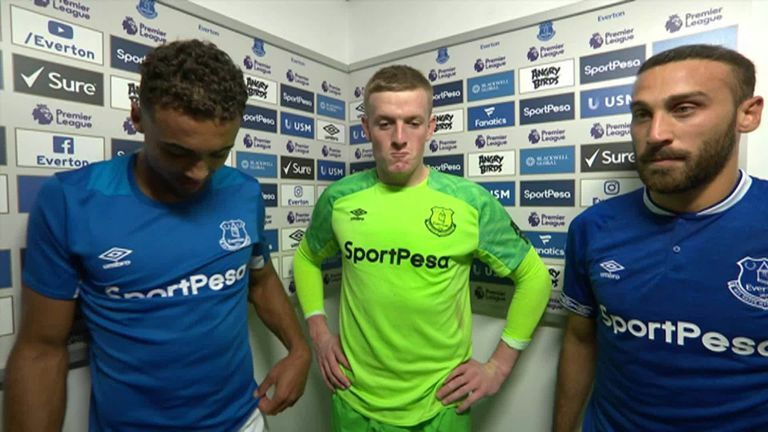 Pickford triggered memories of England's World Cup adventure as he saved Luka Milivojevic's penalty (60), before Dominic Calvert-Lewin (87) and Cenk Tosun (89) sprung from the bench to grab the hosts a dramatic three points. Palace's aggressive and organised performance stifled Everton's attacking foursome of Theo Walcott, Gylfi Sigurdsson, Bernard and Richarlison but the introduction of Calvert-Lewin, Tosun and Ademola Lookman turned the game. 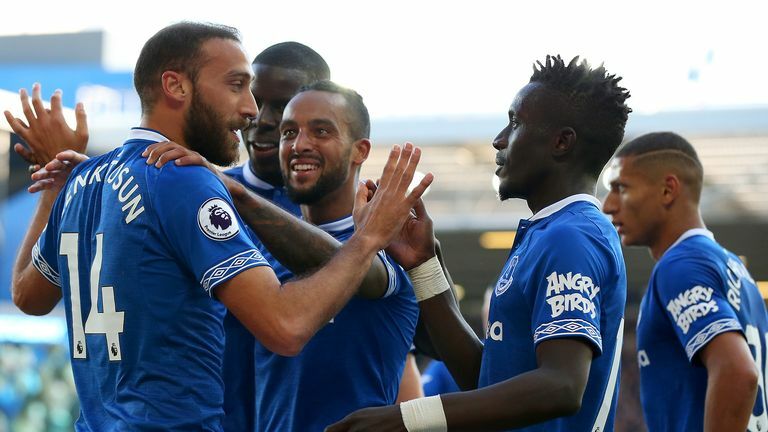 The victory means Everton have won three Premier League games on the spin for the first time since January 2017 while Palace remain two points above the drop and face Arsenal, Chelsea, Tottenham and Manchester United in their next four league games. 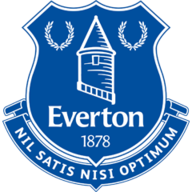 Everton: Pickford (8), Digne (5), Coleman (6), Keane (6), Zouma (7), Gueye (7), Gomes (6), Walcott (6), Sigurdsson (6), Bernard (5), Richarlison (6). Wilfried Zaha has scored or assisted 80 per cent of Crystal Palace's Premier League goals this season - and he shifted to play in the lone striker role which gave the visitors a good platform to play off. Everton struggled to find space against the well-drilled Palace backline, taking 27 minutes to test Wayne Hennessey when Sigurdsson's near post effort was pushed clear. The best chance of the first-half fell to Cheikhou Kouyate but he flicked his header from close range off the underside of the crossbar. Andre Gomes made his long-awaited Everton debut after his loan move from Barcelona in the summer while Seamus Coleman returned after missing the last five games. Roy Hodgson started without a recognised centre forward as Andre Ayew was dropped for Cheick Kouyate in their only change from the home defeat to Wolves. 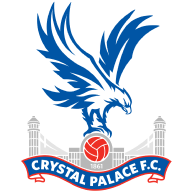 Palace were growing in confidence and were handed a golden opportunity to take the lead when Seamus Coleman tripped Zaha just inside the area on the hour mark. Milivojevic has scored nine of his 10 penalties for Palace but squandered this one as his effort down the middle of the goal was blocked by Pickford's leg after he dived to his left. The save should've sparked a response from Everton but Palace kept their heads and defended their box with great strength with Aaron Wan-Bissaka and Mamadou Sakho particularly impressive. Everton needed fresh blood and Silva sent on Tosun, Lookman and Calvert-Lewin. In truth, a winning goal didn't look likely until Sakho switched off from a Lookman cross and Calvert-Lewin guided a header home with three minutes left. Palace then pushed up higher in search of a leveller but got caught by a long ball over the top which was gathered by Tosun and he powered a low finish past Hennessey. Everton have won three straight Premier League matches for the first time since January 2017. Crystal Palace are now winless in four Premier League matches (D1 L3), their longest such sequence since March (run of seven games). 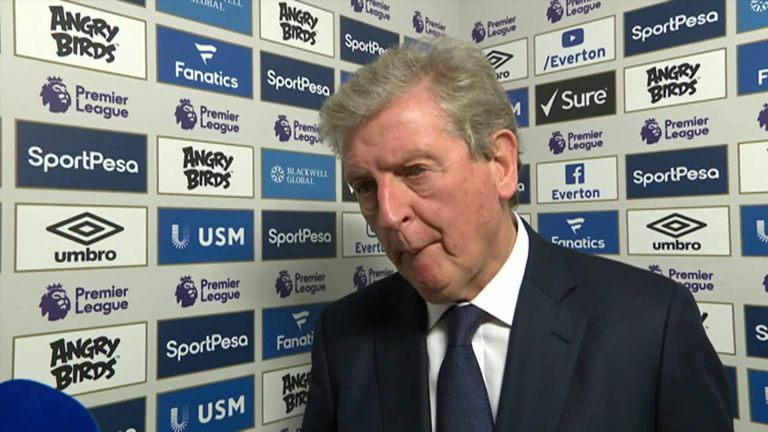 Crystal Palace manager Roy Hodgson is now winless in all eight of his Premier League visits to Everton (D1 L7), against no other side has he managed more away games in the competition without winning at least once (also eight v Tottenham). For the first time since August 2017 (Man Utd v Leicester - Rashford, Lingard and Fellaini), three substitutes were directly involved in a goal in the same Premier League game (Calvert-Lewin, Lookman and Tosun for Everton today). Calvert-Lewin and Tosun are the first two Everton substitutes to score in the same Premier League game since March 2014, when Kevin Mirallas and Steven Naismith netted against Fulham. Milivojevic's penalty miss was his first in the Premier League for Crystal Palace since December 2017 v Manchester City, and just the second penalty he has failed to convert in 11 attempts in the competition. Since the beginning of last season, only Manchester City's Raheem Sterling (six), has won more Premier League penalities than Crystal Palace's Zaha (five). Dominic Calvert-Lewin showed his predatory skills to notch the winner. When you consider the lack of depth in England’s forward ranks he could be close to earning a call-up if he gets a run of goals and games under his belt. Meanwhile, Aaron Wan-Bissaka impressed a full-back for Palace, not putting a foot wrong against the threat of Bernard while Jordan Pickford showed why he's England's No.1. He called his penalty save "a game changer" and it was hard to argue. The England stopper has now saved three of his last six penalties in the Premier League, not forgetting either his famous stop in England's penalty shootout win over Colombia in the World Cup. Although Palace didn't really test his shot stopping in open play, he was always switched on to their attacks as shown when charging off his line to stop a Zaha charge in the first-half. He's Mr Reliable for club and country. "Sometimes you make changes and everything goes well, like this afternoon. "The other times you try and it's not the same but in that moment it was important for us, we changed the formation with the substitutes and they did well." "The first goal was a massive blow after defending so well. "Also, the chance to put ourselves in a commanding position and not take it from the penalty. It's hard to stand here as a loser again - I could have been standing here as a winner or someone who has coached their team to a positive point but they scored the goals and we didn't." Everton are back on Super Sunday next weekend when they visit Manchester United while Palace host Arsenal as they begin a tricky run of fixtures.